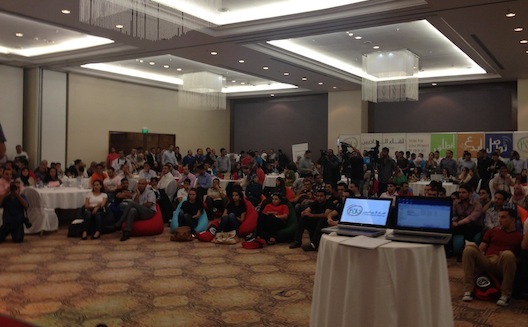 Momentum is building in the Palestinian tech scence. Hi Tech Hub Palestine launched last Wednesday to bring 500 members of Palestine’s tech community together along with diaspora entrepreneurs to discuss challenges and approaches. The monthly series, which is based on the format of Jordan’s popular Amman Tech Tuesdays events, will bring together developers, designers, entrepreneurs, students, academics, investors and “anyone interested in the Palestinian startup scene” in Ramallah for monthly discussions centering on two to three short speeches by industry experts. Bringing in Palestinian entrepreneurs from the global diaspora will continue to be a focus, says founder Feras Nasr, also president at software outsourcing company iConnect Tech, who spoke to Wamda at the Amman TT anniversary event in May about his intention to launch a similar idea in Palestine. "I would've been happy with 200, even 150 attendees; 500 is amazing," he said. As Mohammed Kmail reported on iGeeki, the event brought two Palestinian entrepreneurs from the U.S. to speak to local techies. 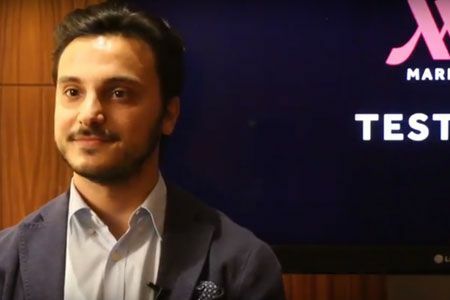 Wael Manasra, CEO and founder of VoiceBeam, a communication accelerator that modernizes push-to-talk for smartphones, spoke about how his days at Palestinian telecom company Jawwal inspired his idea for the San Francisco-based startup. “I feel proud when I stand in in front of you as a Palestinian entrepreneur,“ he said. Ibtaker: a company specializing in designing, training, and promoting educational kits and tools. Viral Ad Agency: a startup offering advertisement over social networks, with both free and premium options. X-Bugs: an Android and iOS game in which the player must squash bugs. Ehram: an iPad application that helps Muslims performing Haj and Umrah to complete rituals properly while connecting with a social network. Zourna: Software that helps travelers find details about countries and stayed connected to local societies. YaMsafer: A website that allows travelers to book Middle Eastern hotels online, at prices that are typically lower than the average international site. Liberation Gate: An online game in which players face off in a war between city guards and local militias in the capitals of Arab cities. Mobistine: A startup developing smartphone applications that give newlywed couples tips for a healthy social and intimate life. Never Lose: a smartphone application that helps users keep track of their belonging while helping university students search for library books. iMenue: a smartphone application that allows customers to order meals for delivery, that they can also recommend and share on social networks. The creators of winning game Liberation Gate, DotMedia, has also signed a contract with the Jenin Governate today to build a tourism multimedia center, in parternship with software company Iris Interactive Solutions. Founder Feras Nasr further reflects on the event and the recent impact of Yamsafer's $1 million round of funding from Sadara Ventures in our interview above. The next event is planned for late October.